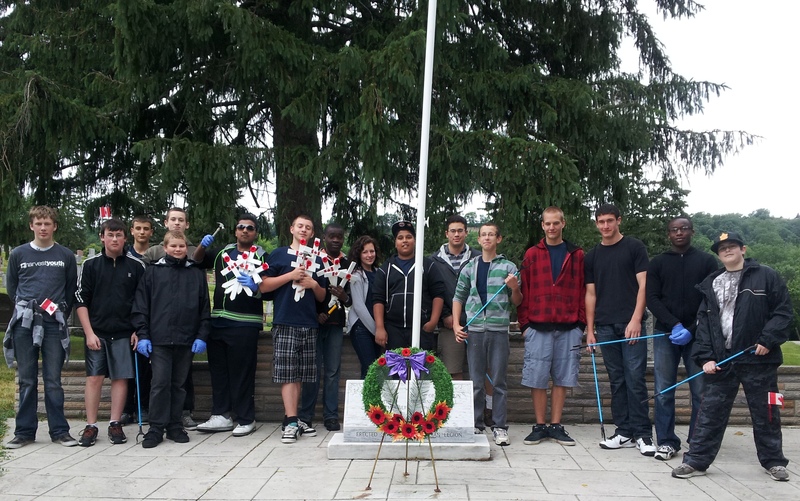 On Thursday, 31st May, 2012 cadets who are members of the 2865 Hamilton Wentworth Artillery Cadet Battery prepared Veteran's grave markers at the John Weir Foote VC Armoury (James Street) in Hamilton. The markers were placed on Veteran's graves in Grove Cemetery and St.Augustine's Cemetery in Dundas. 1. 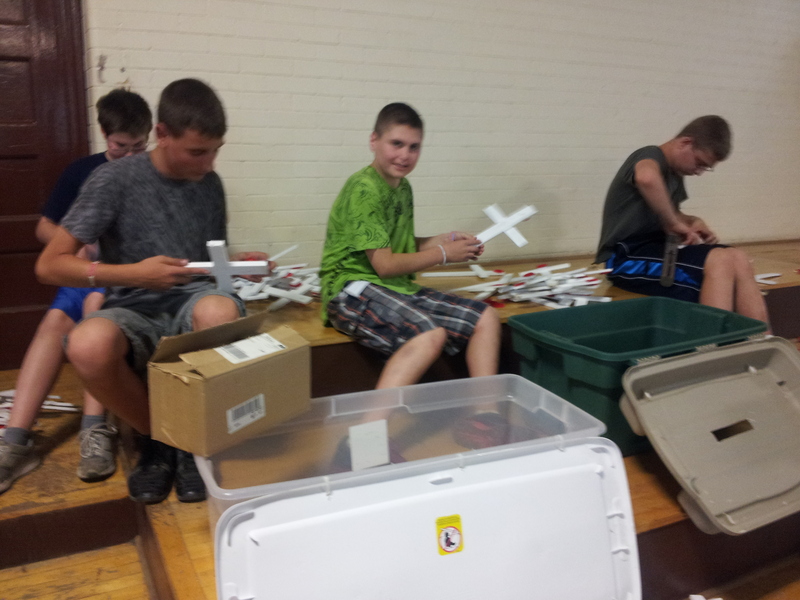 Cadets prepare memorial grave markers for veterans grave sites in Dundas cemeteries. 2. 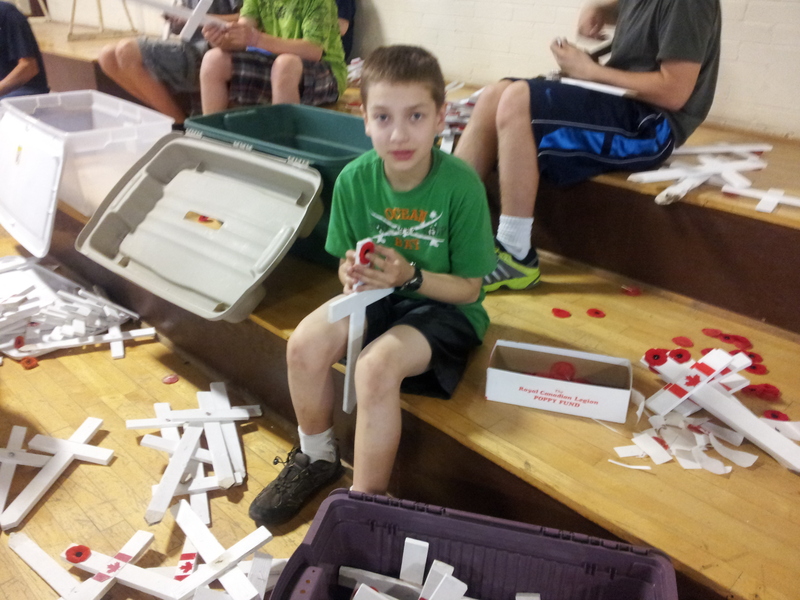 Both young and old worked on the markers. 3. 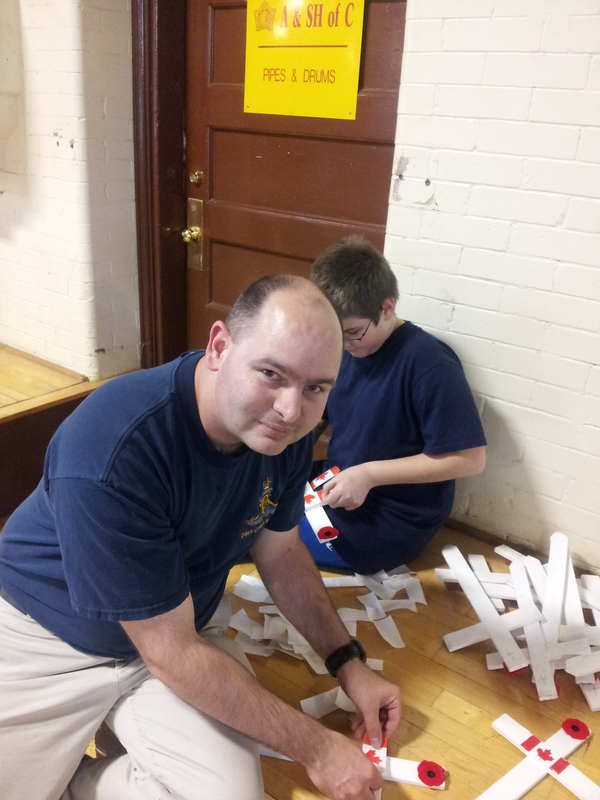 Making flags and markers takes concentration. 4. 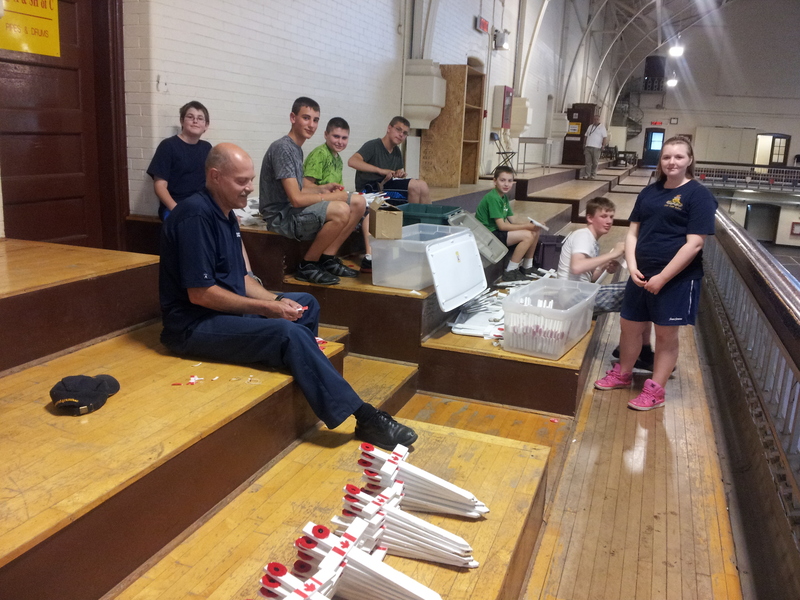 Cadets prepare more grave markers. 5. 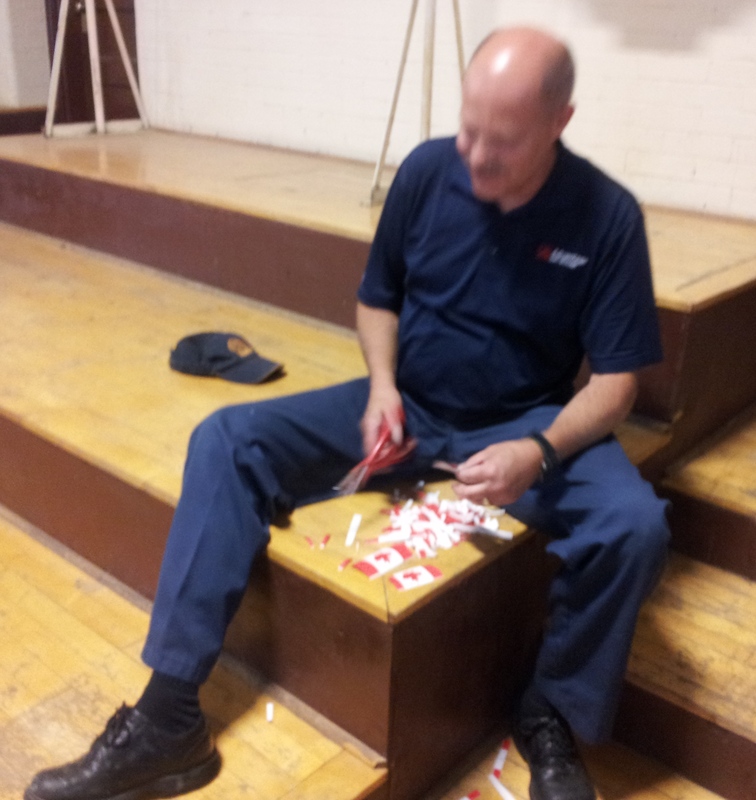 Applying poppies to markers was done by everyone. 6. Veteran's grave sites in Grove Cemetery and St.Augustine's Cemetery were cleaned up. 7. Markers were placed to recognize Veterans who served and helped us retain the freedoms we enjoy today. 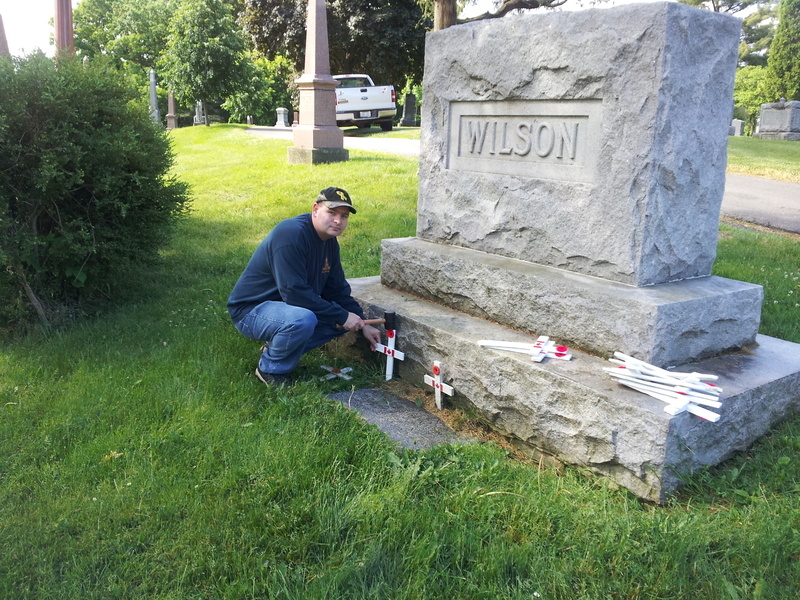 place markers on graves of Veterans in Grove Cemetery in Dundas.